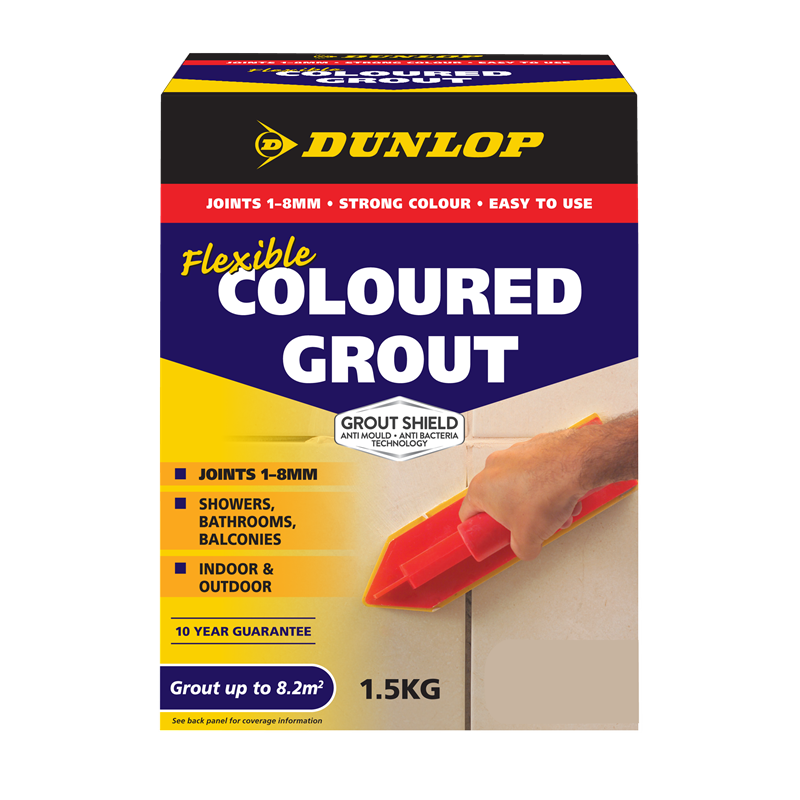 Dunlop Coloured Grout is a flexible, versatile coloured grout for wall and floor tiles that contains Grout Shield an anti mould anti bacterial protection to keep your surfaces looking better for longer. 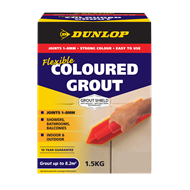 Offering a smooth finish and flush joins for reducing trapped dirt, Dunlop Coloured Grout is easy to work with and is available in a wide range of fashionable colours. Dunlop Coloured Grout can be used in tile joints between 1mm and 8mm wide.